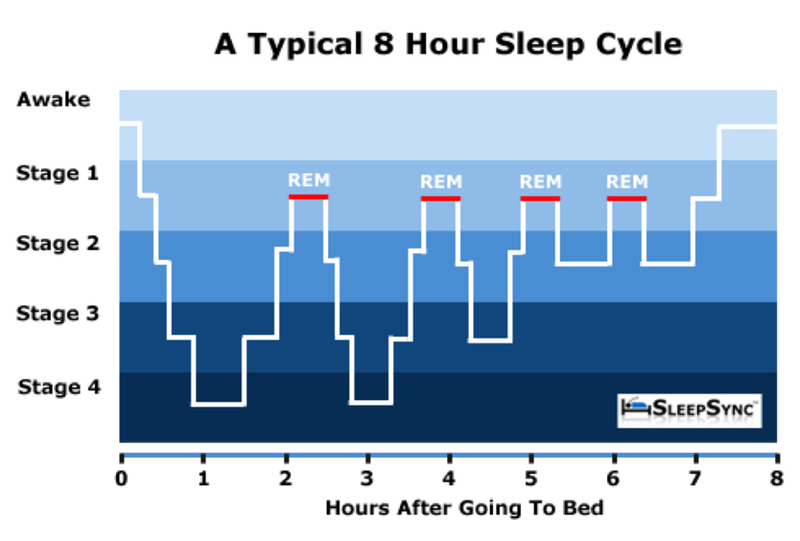 Humans naturally cycle through multiple cycles of combined NREM sleep (stages 1-4) and REM sleep until waking again in the morning. When you exit sleep through REM to wakefulness, because it is a lighter sleep, you are generally less groggy because it feels less sudden for the body. Image courtesy of Gdblogs.shu.ac.uk/b2006900/2014/10/08/sleep-cycle-diagrams/.